The Crypt of St Pancras Parish Church was designed and used for coffin burials from 1822, when the Church was opened, to 1854, when the crypts of all London churches were closed to burials. Crypt burial was seen as a slightly better alternative to the overcrowded village burial grounds for those who could afford it…and a useful revenue for the churches. The first burial was that of Ellen Strachey, aged 12, on 6th June 1822. The last burial was that of Harry Pearce, aged 71, on 27th October 1854. Burials here were discontinued by Order in Council dated 21st May 1855. In both World Wars the Crypt was used as an air raid shelter. This peaceful place is still the final home of 557 people. We respect their presence. In 2002 the Crypt at St Pancras Church became a gallery space where the imagination, thoughts and emotions of 21st century artists are shared with visitors from around the world. Now this popular venue hosts a year-round programme of art exhibitions. As a church we are pleased to include art that provokes and questions, as well as art designed for contemplation, because all form an important part of our common humanity. Throughout history the Church has encouraged and supported the arts and artists. Long may this continue. 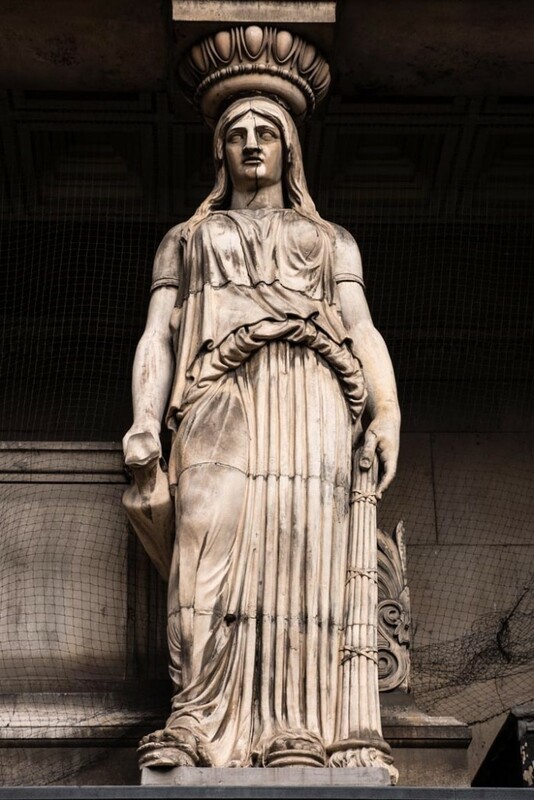 The Crypt provides an intensely atmospheric backdrop to promote the work of a wide variety of artists, kept under the watchful eye of the caryatids. Details of current, forthcoming and previous exhibitions are listed on our events page.